iPhone 5 is going to be launched next week! Of course that was said in my wildest of dream. Apple Inc., is one company that is well known for being so tight-lipped when it comes to information on products launching. But with Samsung Galaxy S II release in the US scheduled for end-August (initially 29-08-2011 and later rumoured to be delayed for a day due to hurricane Irene), it is very much expected that iPhone 5 is well on its way in a matter of days rather than weeks. Some says that iPhone 5 - or whatever it may be called - is going to be launched in the 1st or 2nd week of September. Some sites like The iPhone 5 News Blog even predict 7th or 12th September as release date with some credible insight and opinion bundled in. I am a big fan of the iPhone and am very excited about the imminent release hopefully not too far away. 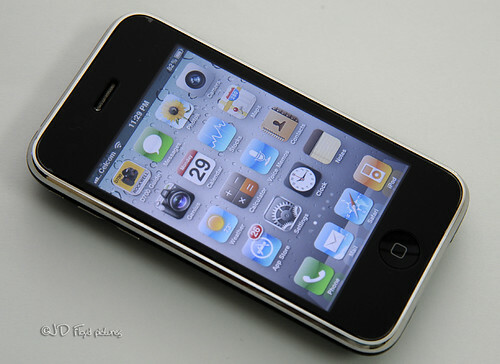 I saw this purported clone of the iPhone 5 in giz-china.com and it looks pretty shiny, it could be a clone/fake of the real one. If you recall, china made iPhone-alike is quite popular in our country and these functional sets look almost exactly like the real deal. I took some of the pictures published by giz-china.com and compared them with that of my current 3GS. Look glossy actually. 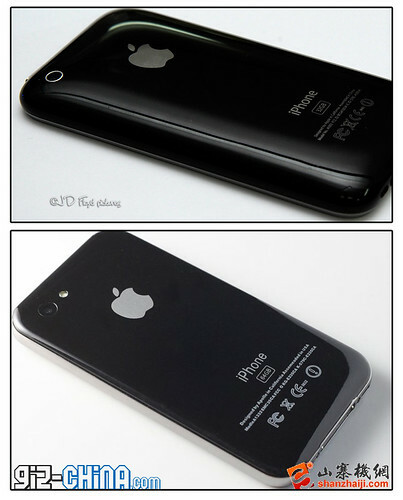 Top- iPhone 3GS, bottom- iPhone5 by giz-china. Now, where is my 4" screen? 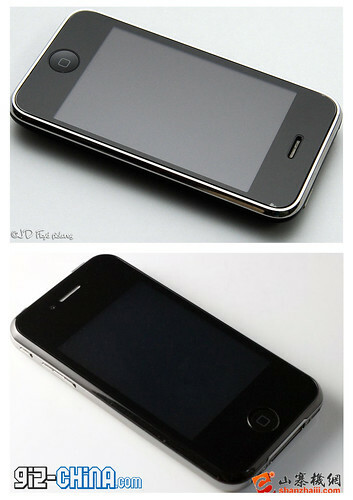 Left- iPhone5 by giz-china, right- iPhone 3GS. 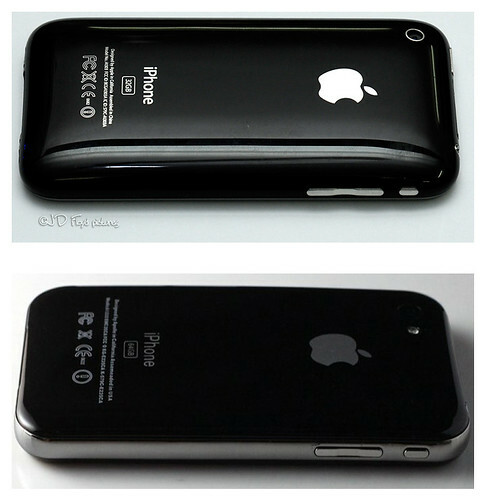 Note the curvy back of the 3GS. The Galaxy S II is currently regarded as the cream of the Android clans and retailed at RM2,099.00 (US $699). The new iPhone 5 being retailed at RM2,399.00 ($799) is certainly conceivable. I kind of like the iPhone-y 5 design with curved front glass and curved metal back panel but the display size is nothing new compared to the current iP4 and iP3GS - small and nowhere near to the Galaxy S II's 4.3 inch. Okay, so let's wait for the release next week, shall we. If you ask me, I'll stand by what I mentioned in the first sentence. Actually sia plan mo ambi tu Samsung Galaxy yang 2nd punya tapi tinguk dulu la macamna tu Iphone baru. Baru la compare hahaa. Oya, happy Friday, Mr Floyd! echaRierie > palan2 kau, dapat juga tu.